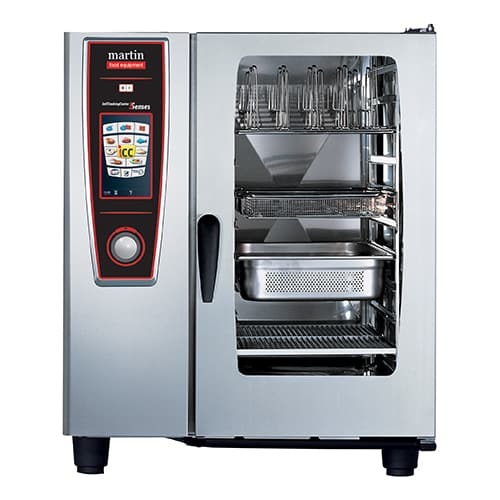 The MFE Self Cooking Centre is created especially for Martin Food Equipment by our partners Rational and is the backbone of an MFE integrated retail food preparation system. The Self Cooking Centre is the first cooking system with 5 senses that always prepares your food exactly the way you want it. 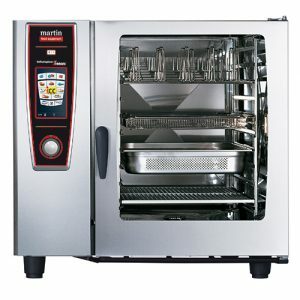 Whether you want to grill, roast, bake, steam, stew, blanch or poach, the Self Cooking Centre can do it all. 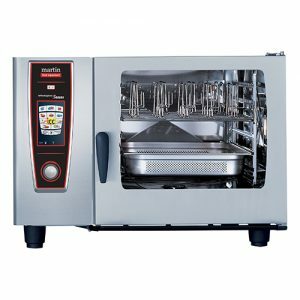 And it can do that regardless of whether you want to prepare meat, fish, poultry, vegetables, egg dishes, baked goods or desserts. 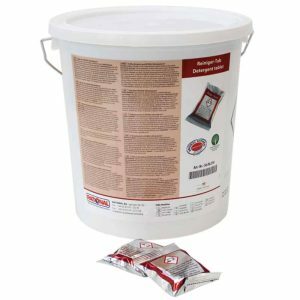 Whether you prepare thirty or several thousand meals per day, there is a model exactly the right size for you. 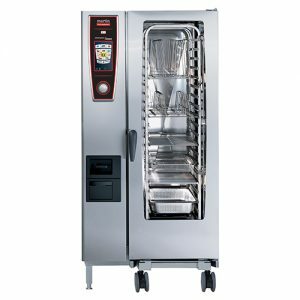 All models are available as either electric or gas, with identical dimensions, fittings and output. 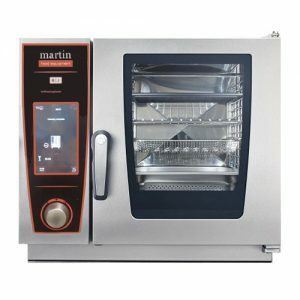 There are also a whole range of special versions available that can be adapted perfectly to the conditions specific to your kitchen. Steam cooking mode from 30 °C – 130 °C. Hot air cooking mode from 30 °C – 300 °C. 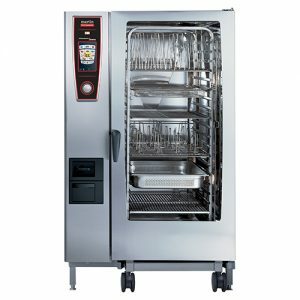 Optimum cooking cabinet climate – ClimaPlus Control® measures the humidity in the cooking cabinet and regulates the ideal climate to one percent accuracy. Five air speeds – you have the right air speed for every product. 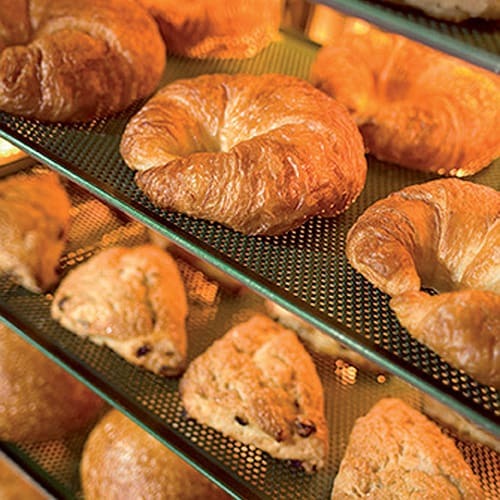 Precisely metered humidification such as for bread and bakery products. Cool Down for rapid, fan-assisted cooling of the cooking cabinet. 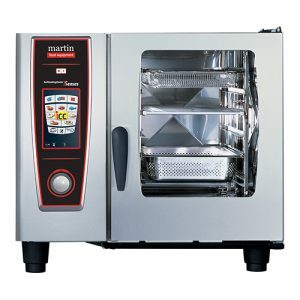 Core temperature cooking for the preparation of products with precise cooking results. 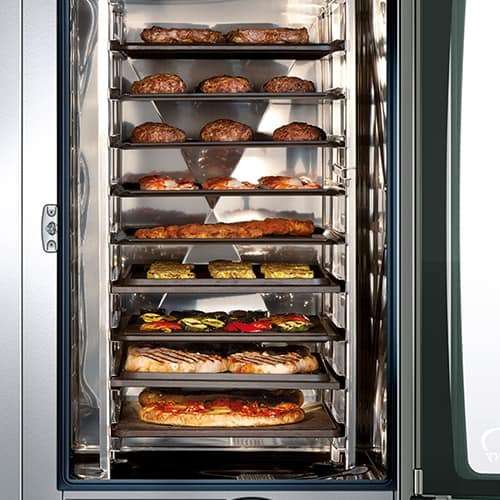 The constant difference between the core temperature and the cooking cabinet temperature ensures the meat stays tender and increases the number of slices. 1200 programming slots with up to twelve steps. Reduce the need for skilled staff and give perfect, consistent result every time. Reduces production time by 30%. Automatically cleans and descales itself.